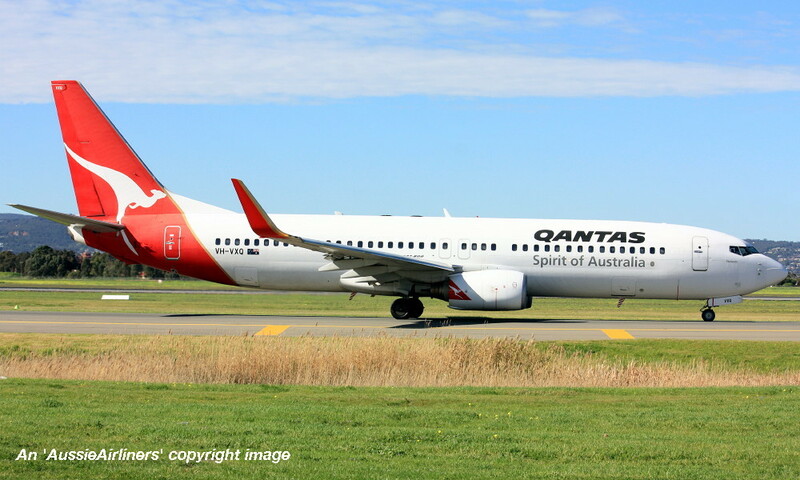 VH-VXQ. 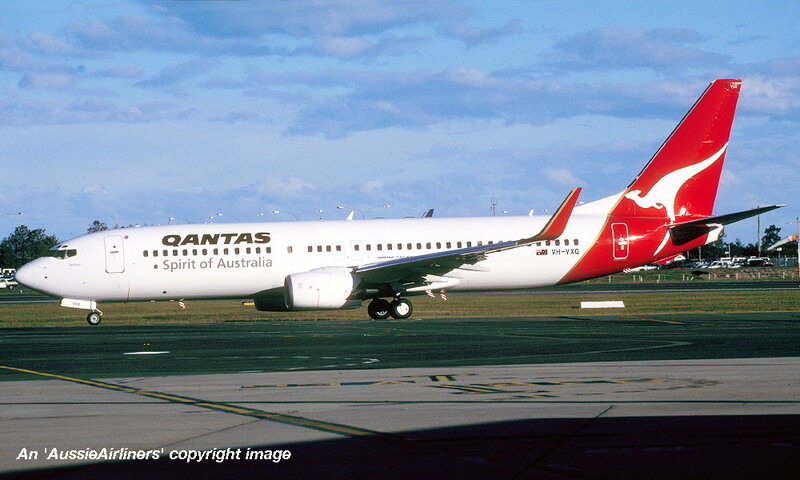 Boeing 737-838. c/n 33723-1335. 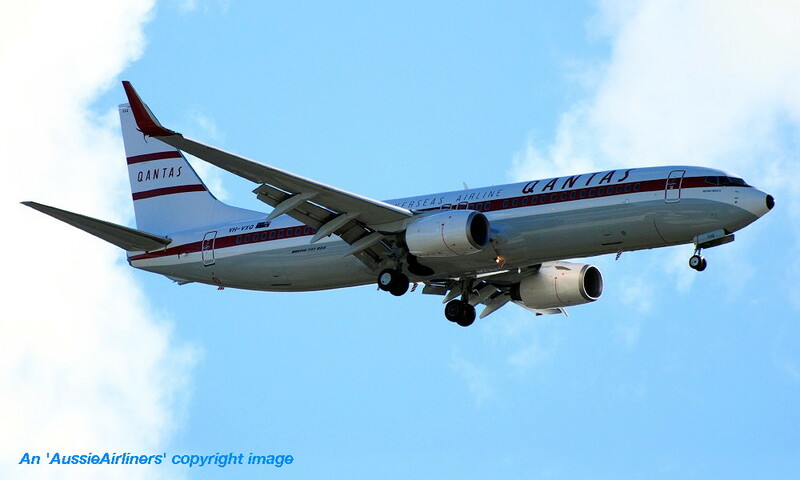 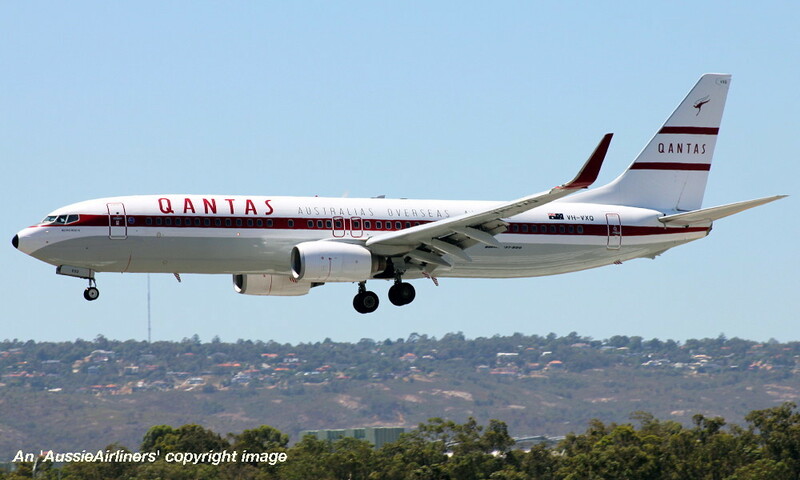 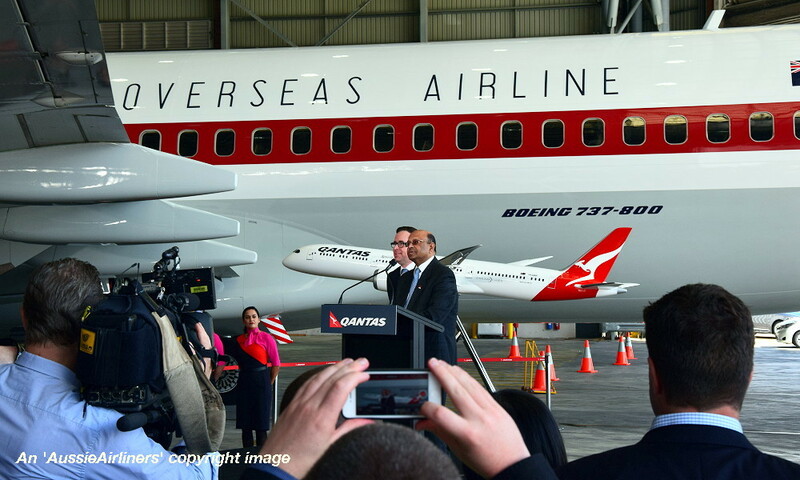 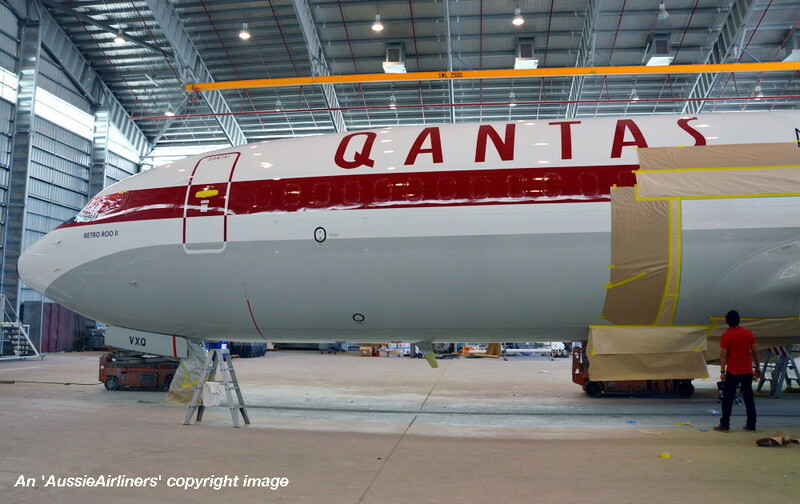 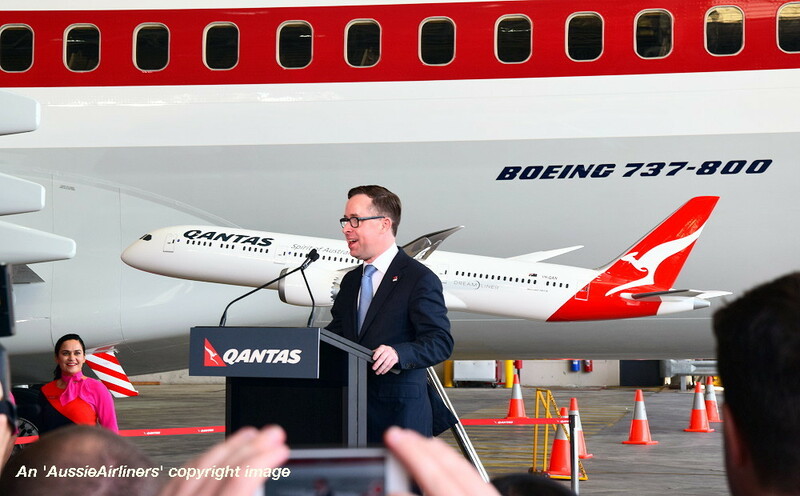 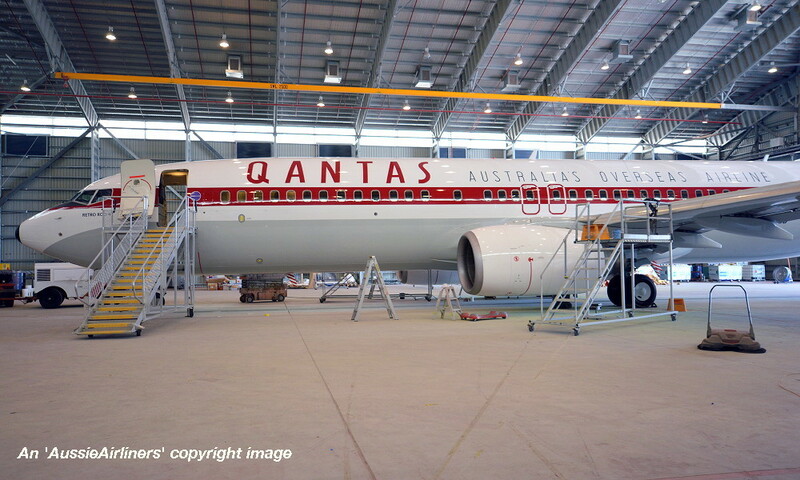 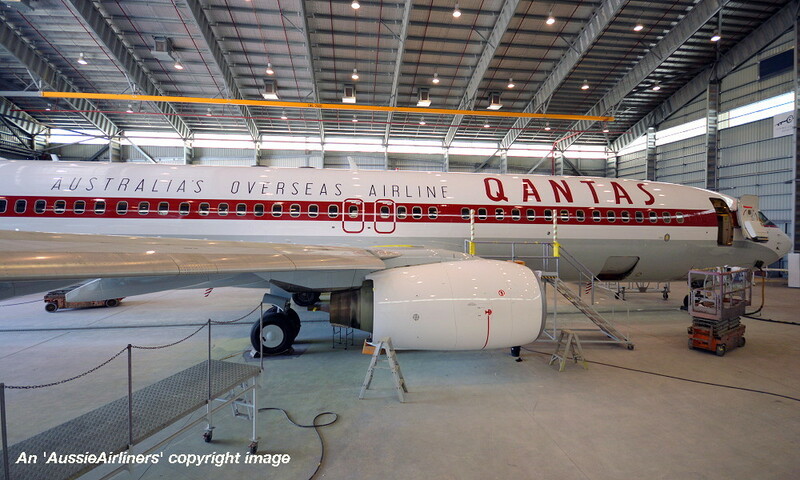 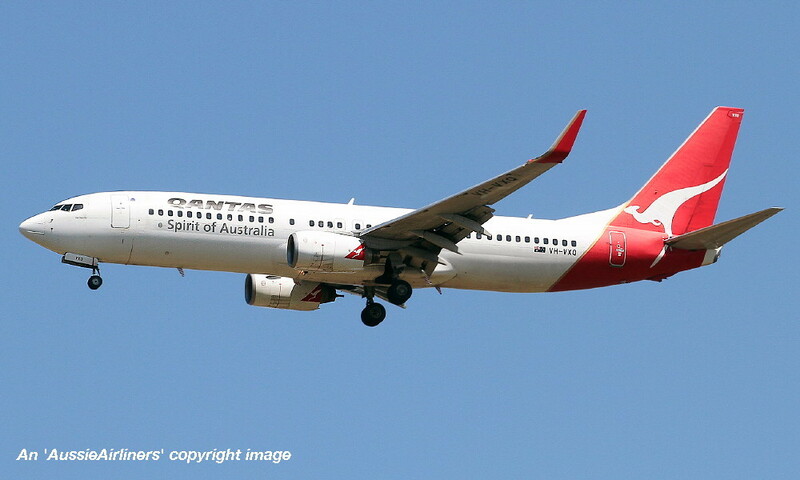 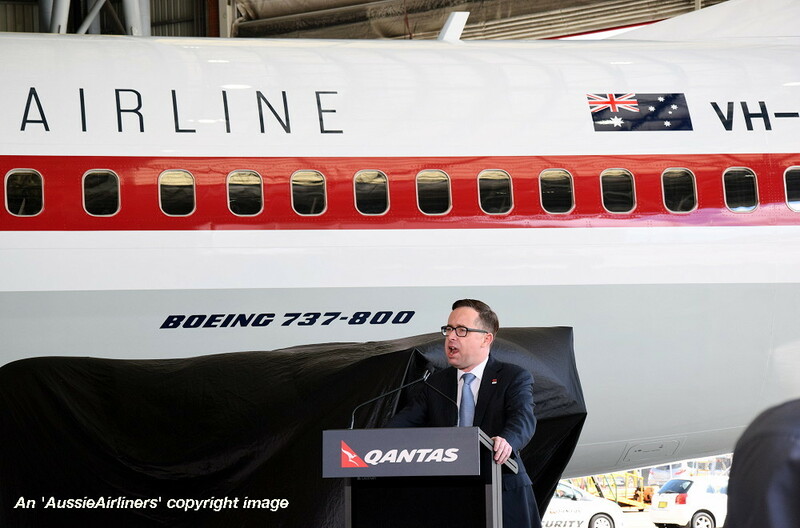 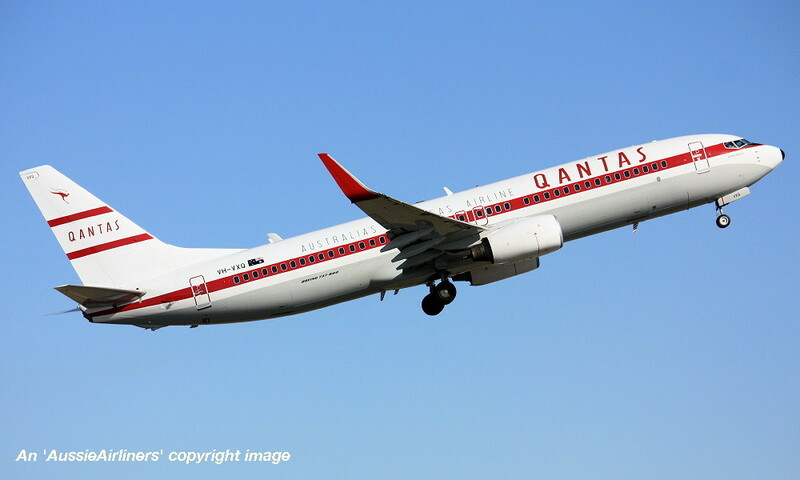 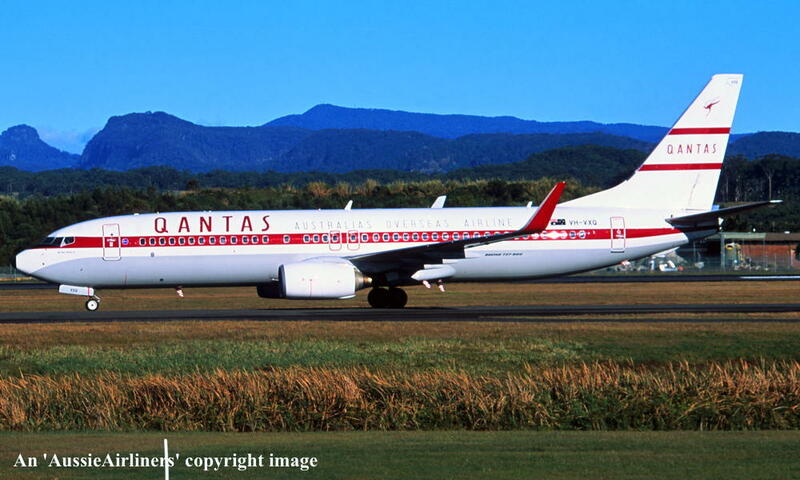 This aircraft was ordered new by Qantas Airways Ltd - ? 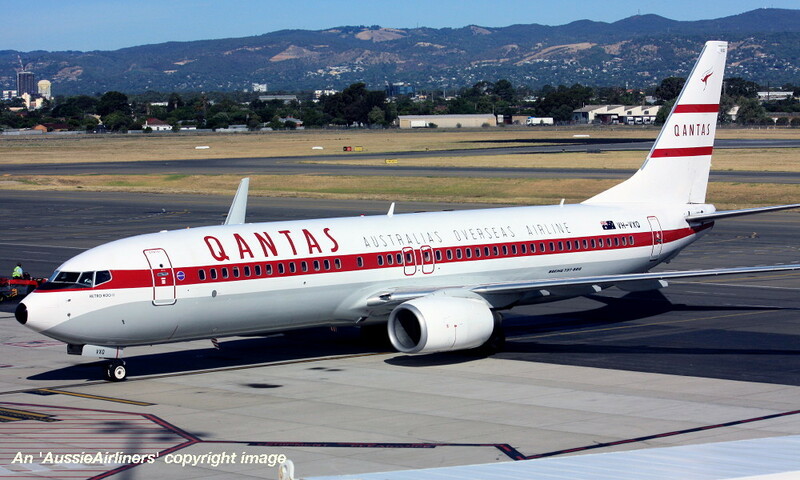 VH-VXQ. 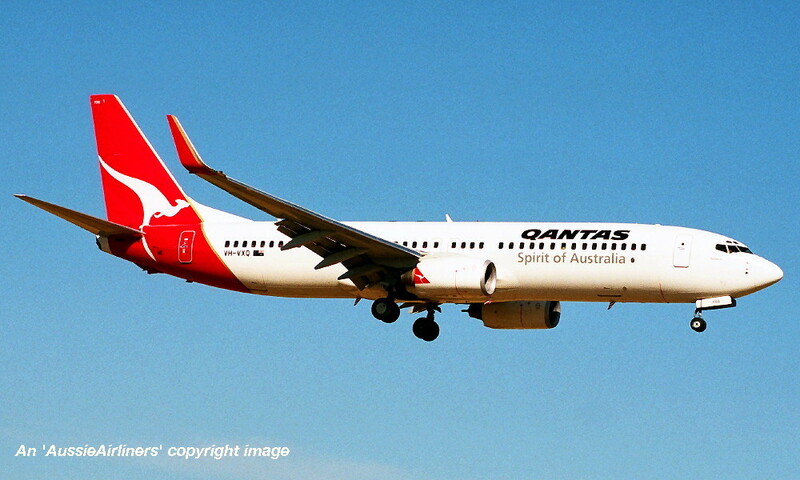 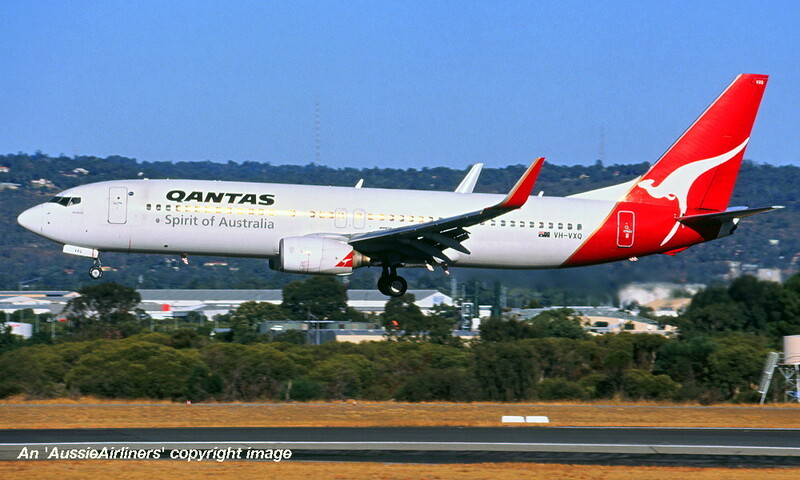 Qantas Spirit of Australia - 'Redland' in the original livery at Sydney Kingsford Smith Airport, December 2003. 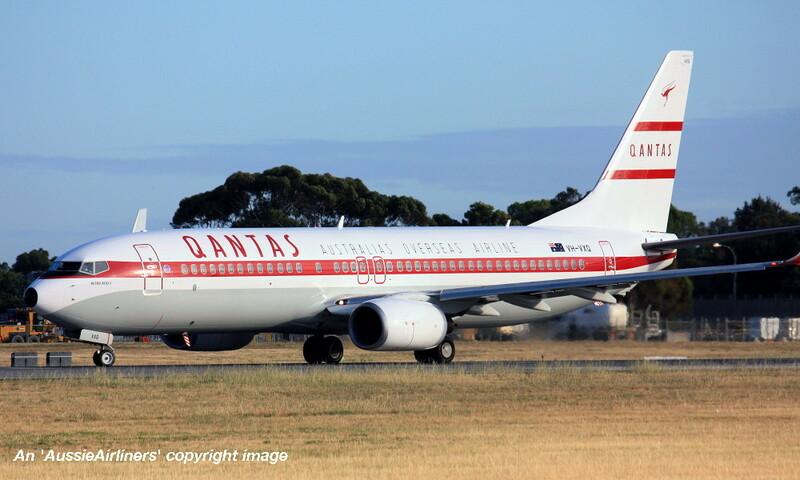 VH-VXQ. 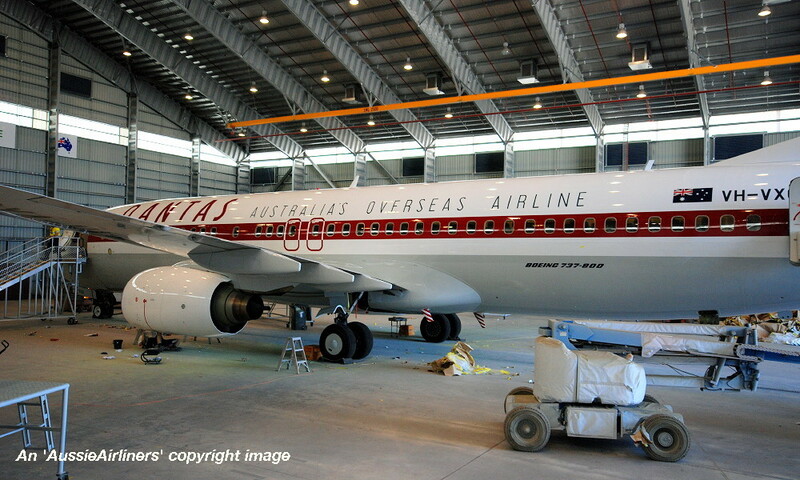 Qantas Spirit of Australia - 'Redland' in the original livery at Perth Airport, January 2005. 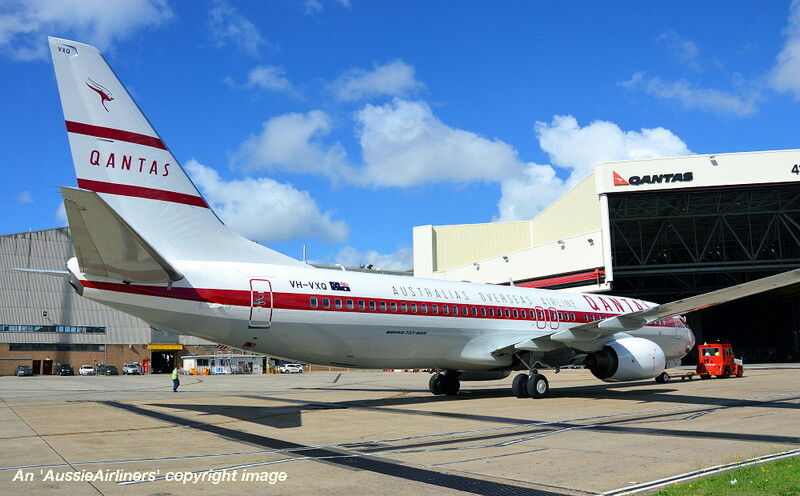 VH-VXQ. 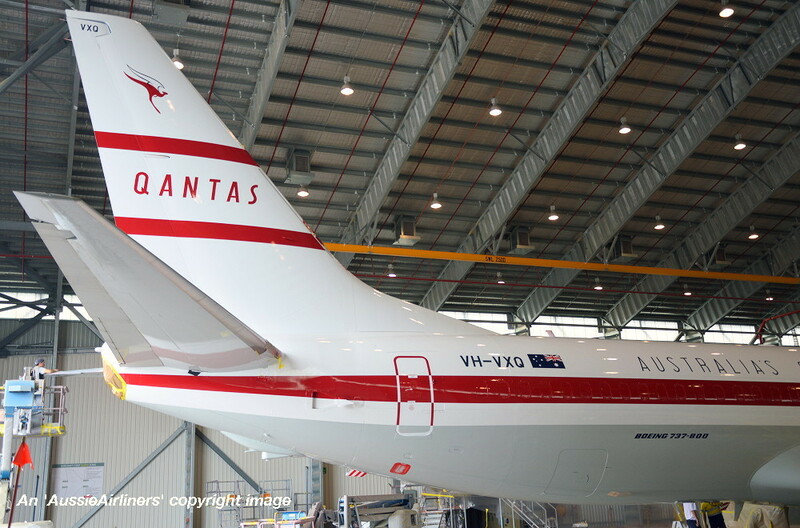 Qantas Spirit of Australia - 'Redland' in the original livery at Brisbane Airport, July 27, 2013. 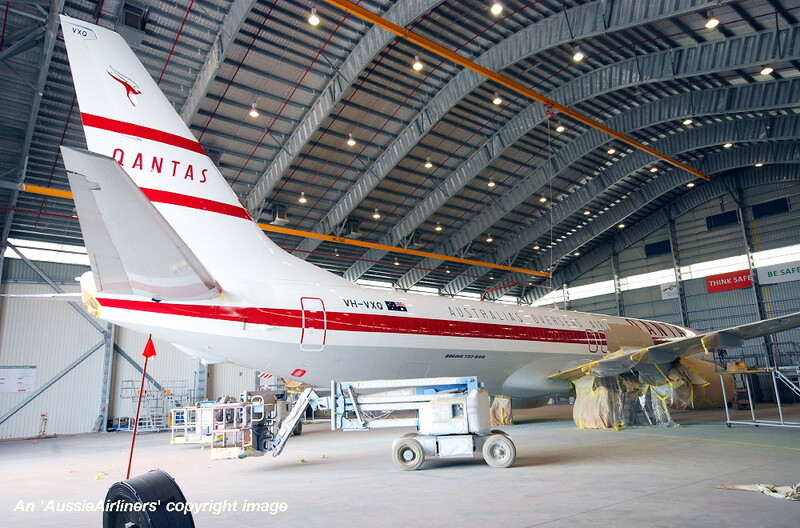 VH-VXQ. 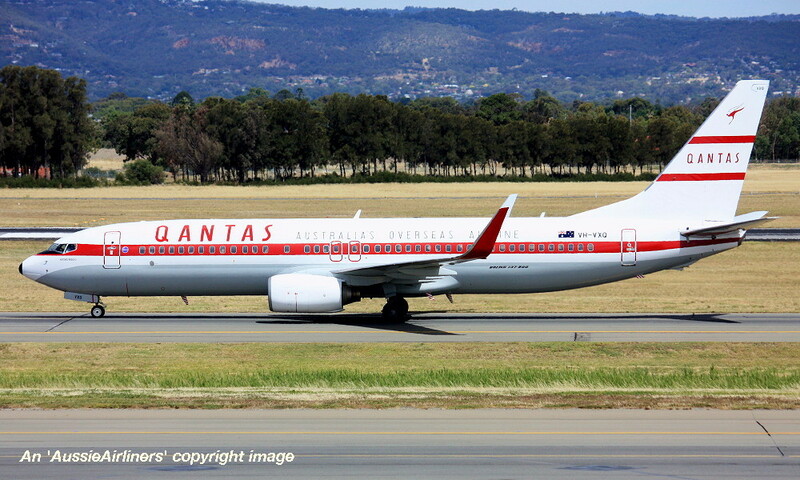 Qantas Spirit of Australia - 'Redland' in the original livery at Adelaide West Beach Airport, July 28, 2013. 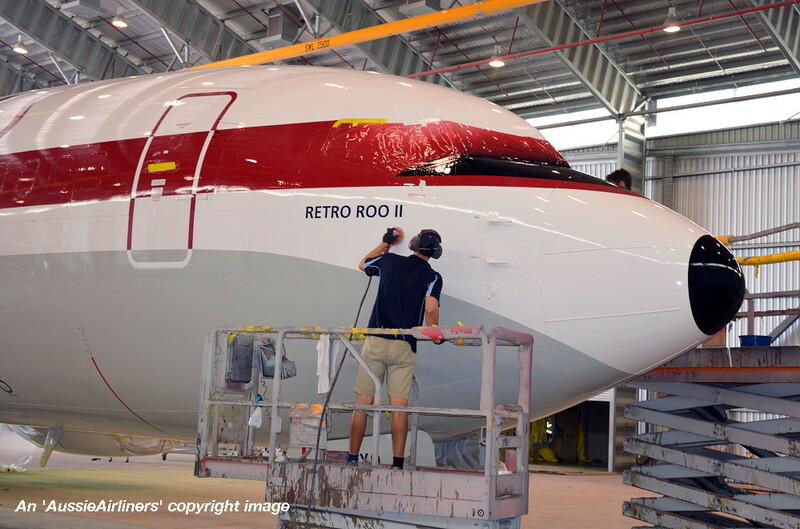 VH-VXQ. 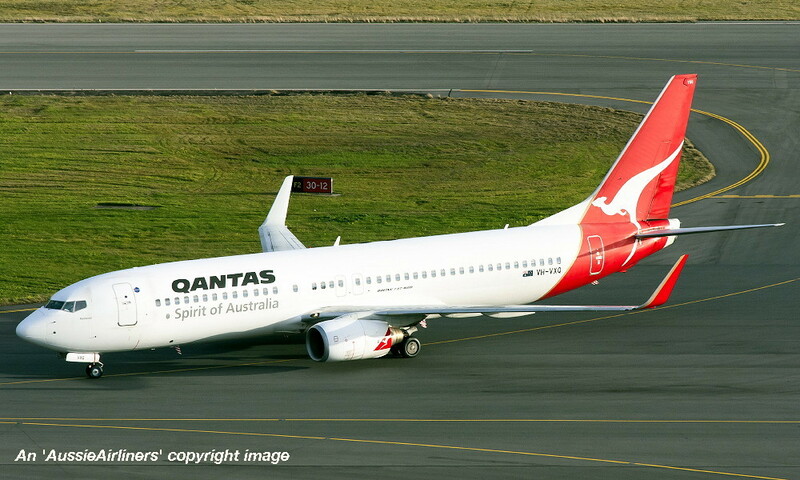 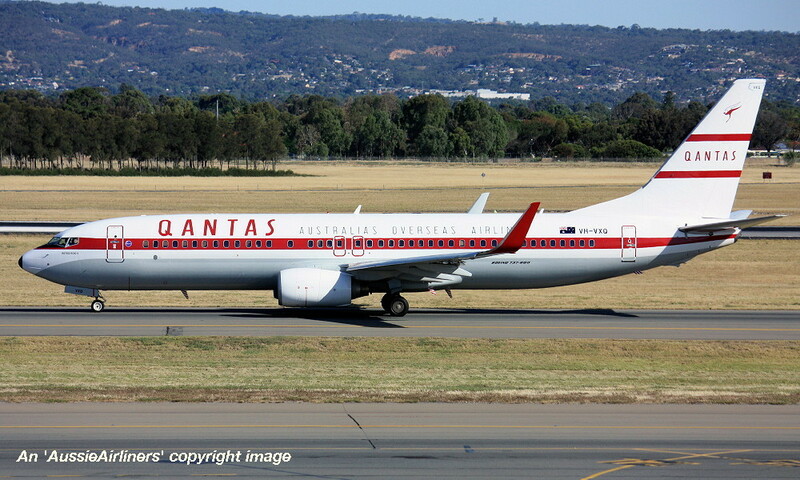 Qantas Spirit of Australia - 'Redland' in the original livery at Adelaide West Beach Airport, August 01, 2013. 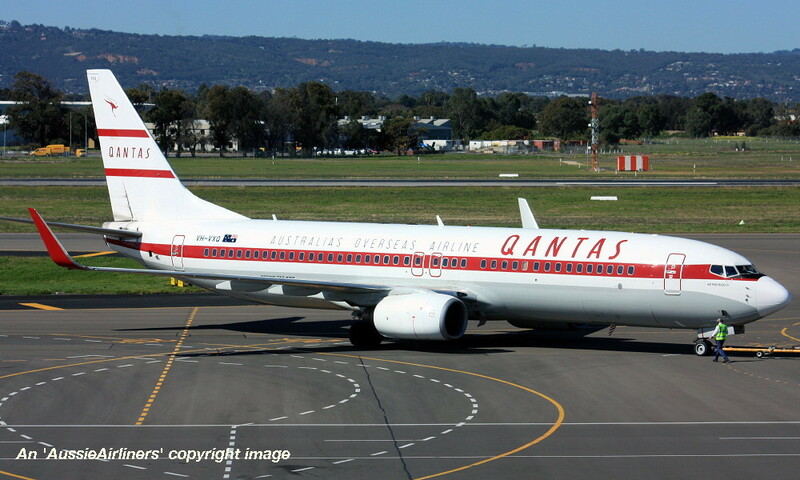 VH-VXQ. 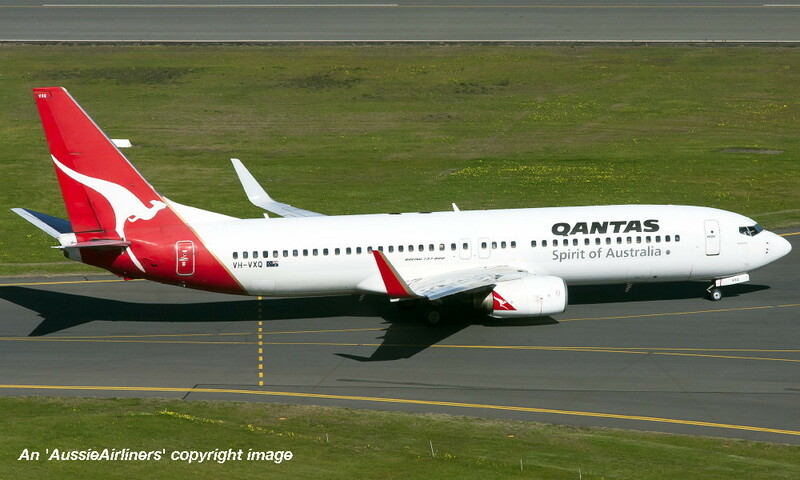 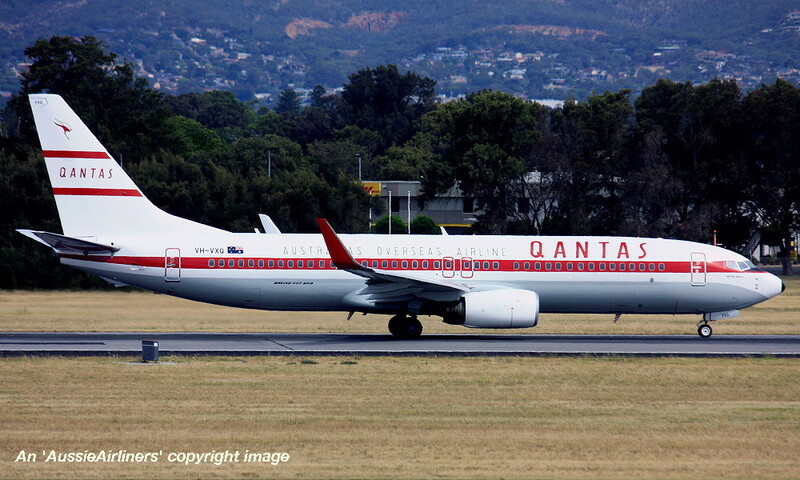 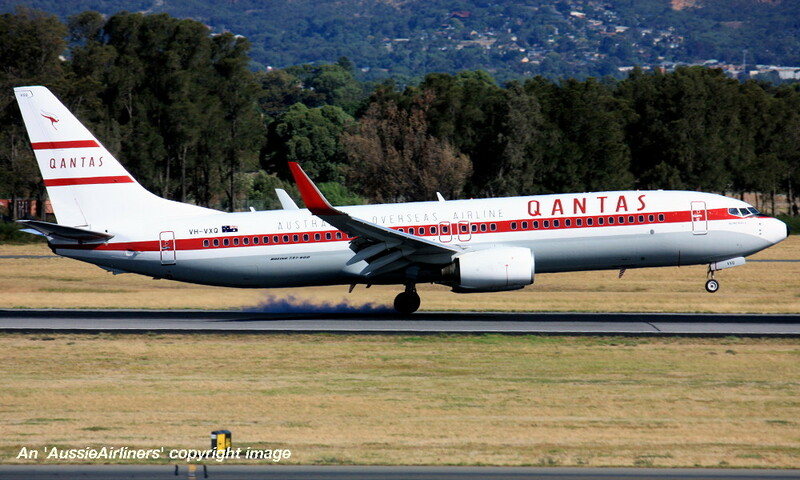 Qantas Spirit of Australia - 'Redland' in the original livery at Adelaide West Beach Airport, August 08, 2013. 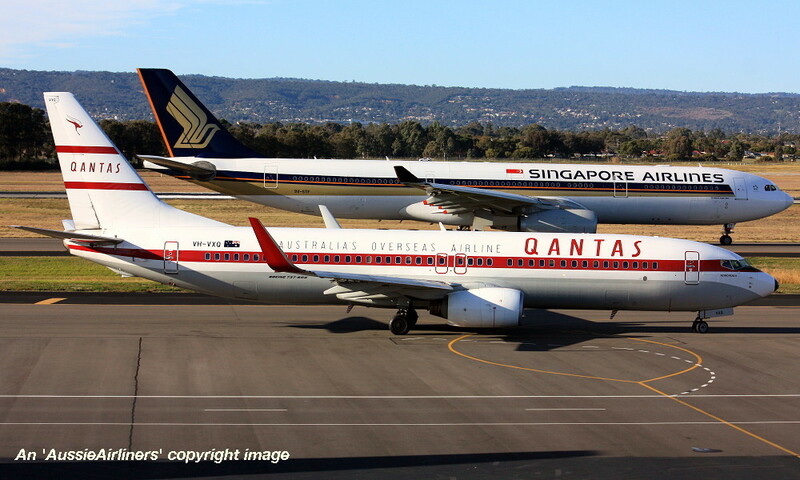 VH-VXQ. 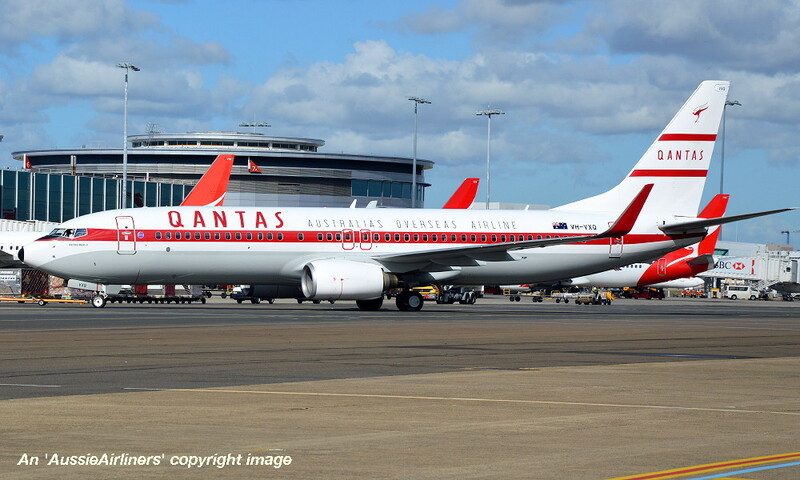 Qantas Spirit of Australia - 'Redland' in the original livery at Brisbane Airport, November 20, 2013. 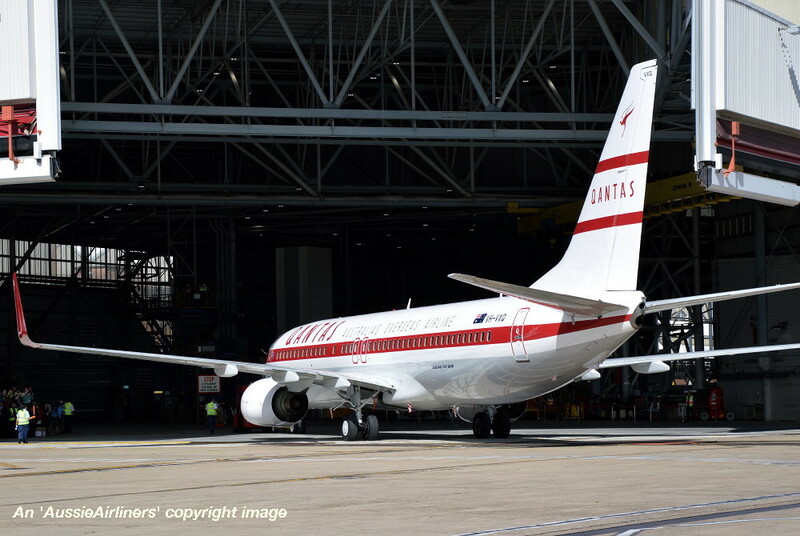 VH-VXQ. 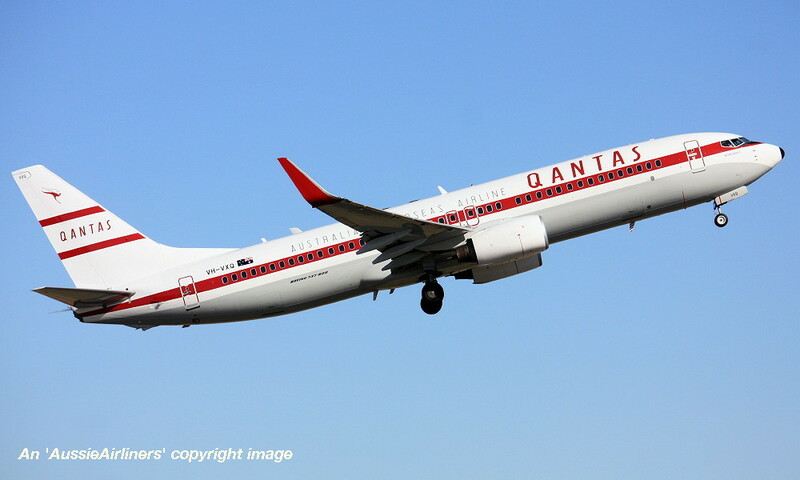 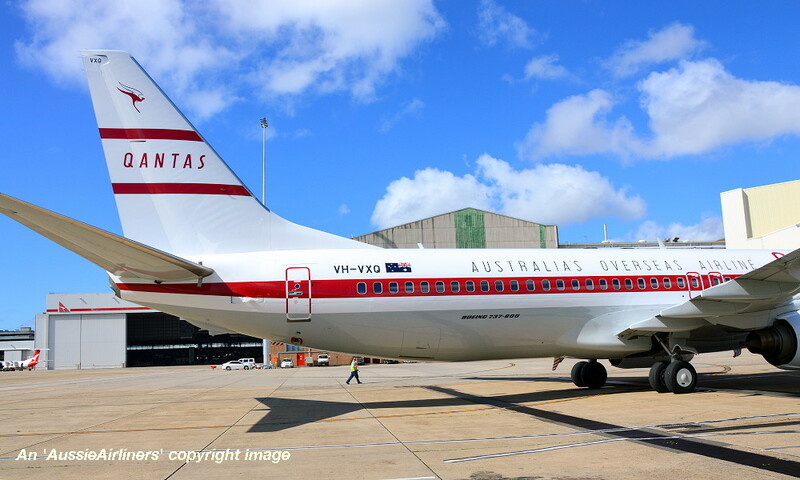 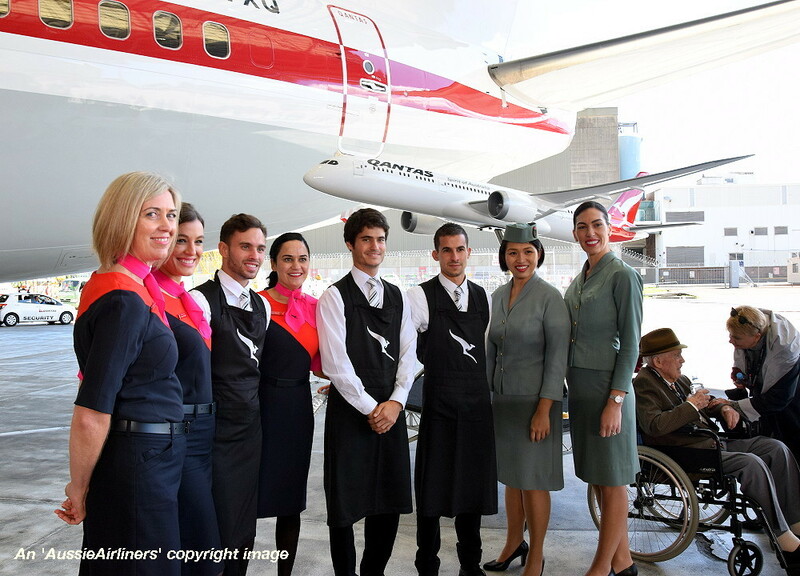 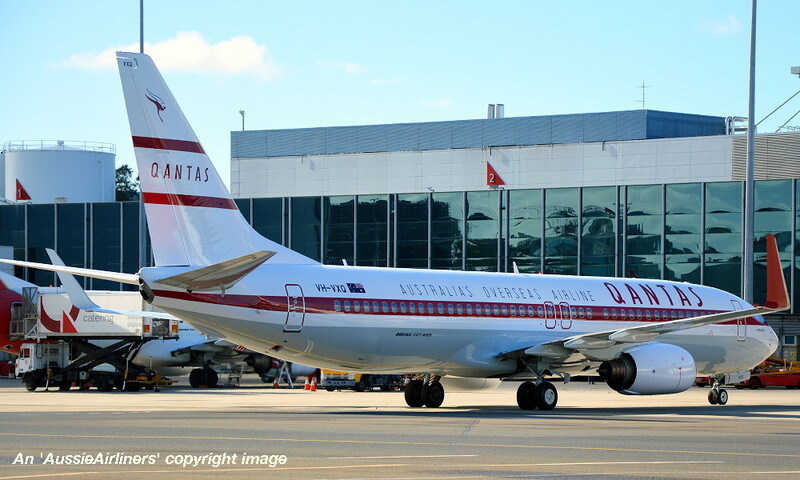 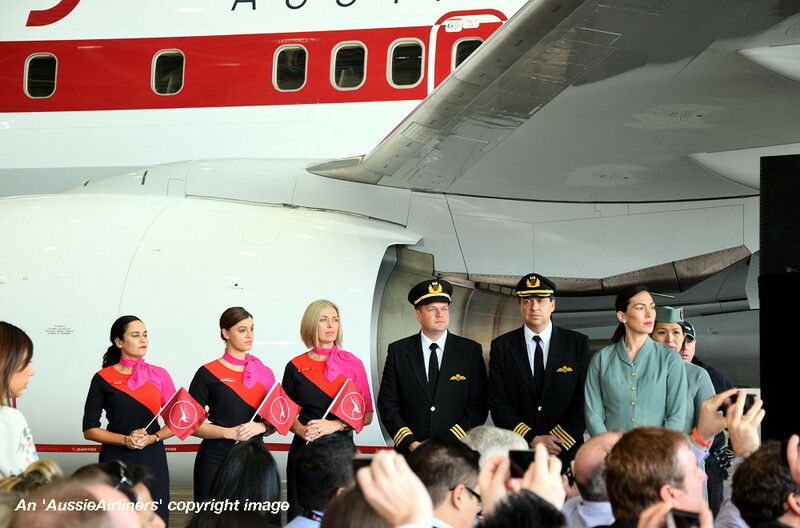 Qantas Spirit of Australia - 'Redland' in the original livery at Adelaide West Beach Airport, April 27, 2014. 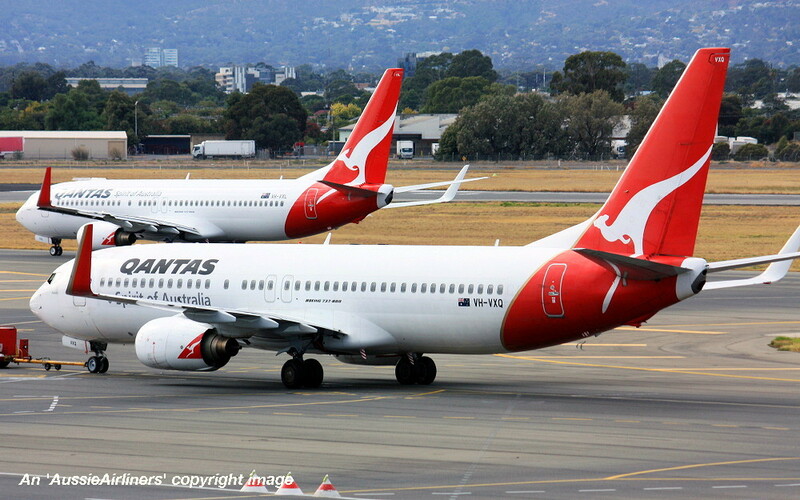 VH-VXQ. 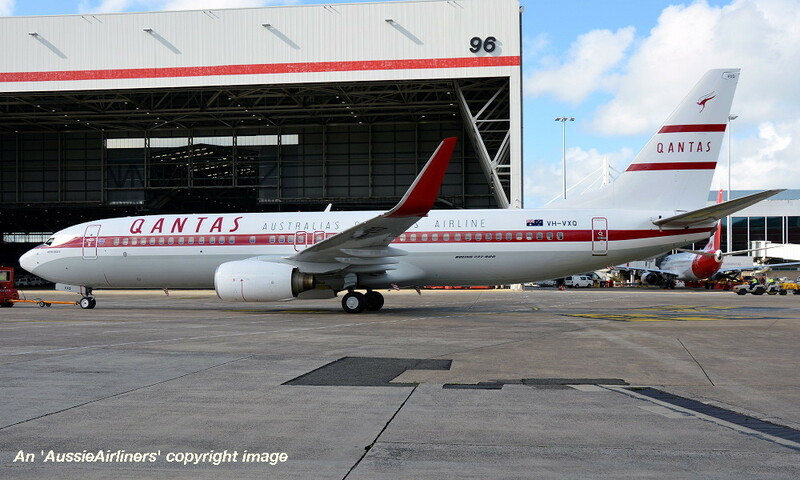 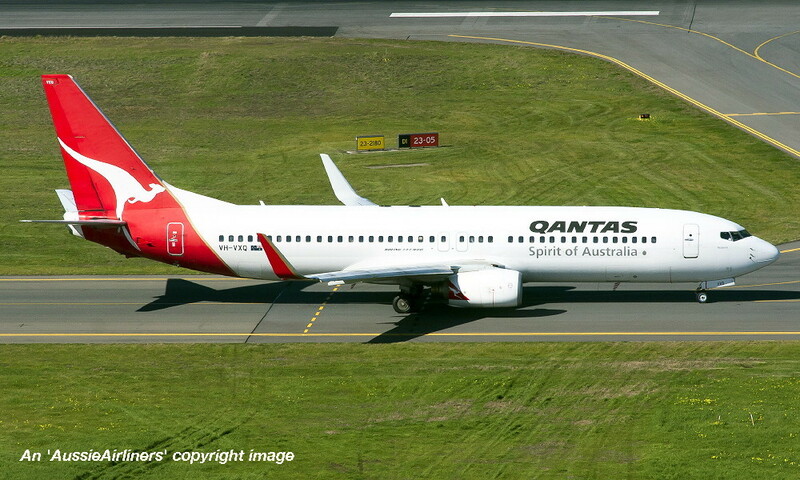 Qantas Spirit of Australia - 'Redland' in the original livery at Perth Airport, April 2014. 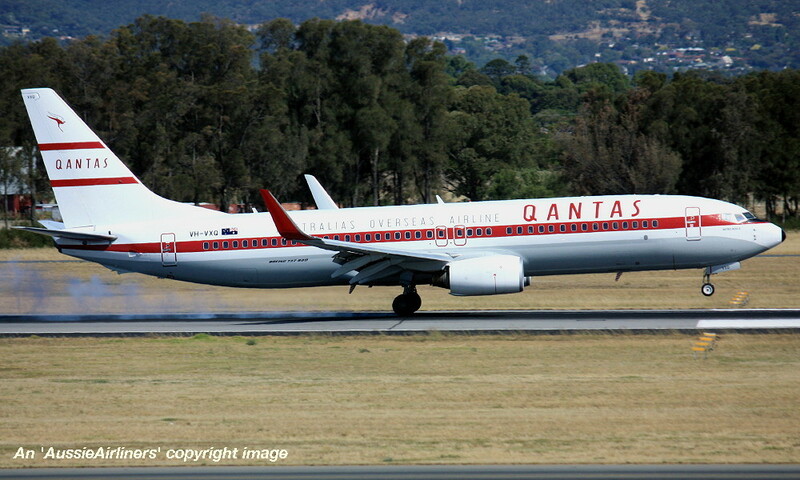 VH-VXQ. 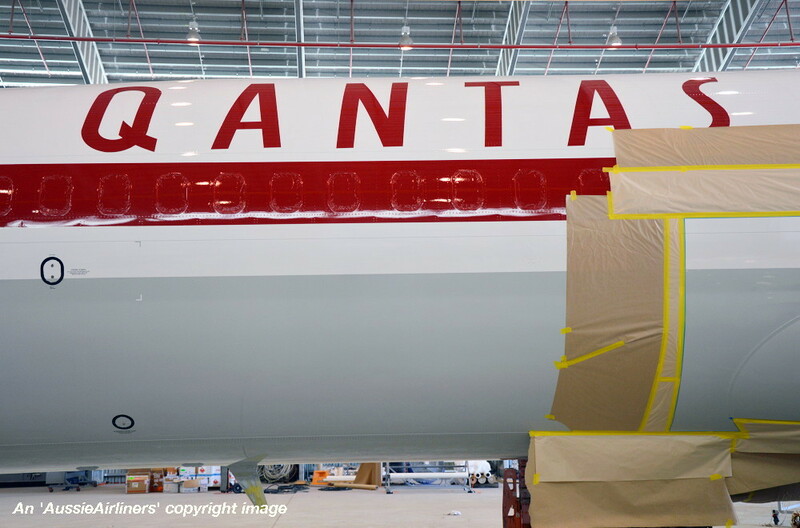 Qantas Spirit of Australia - 'Redland' in the original livery at Adelaide West Beach Airport, April 05, 2015. 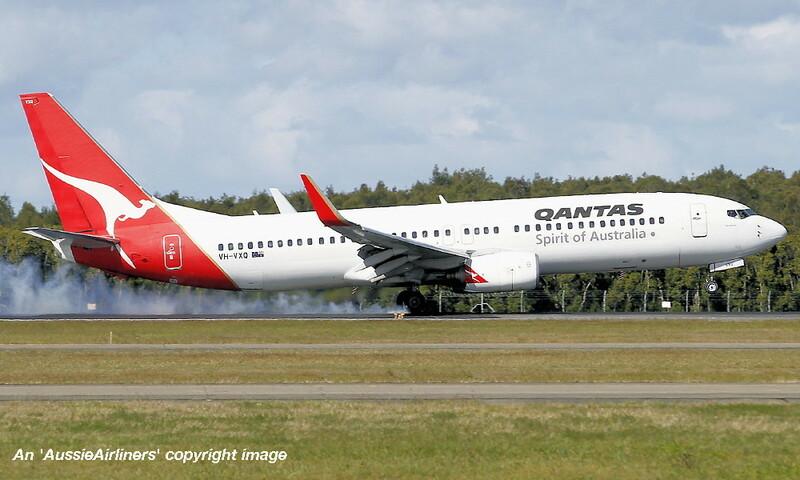 VH-VXQ. 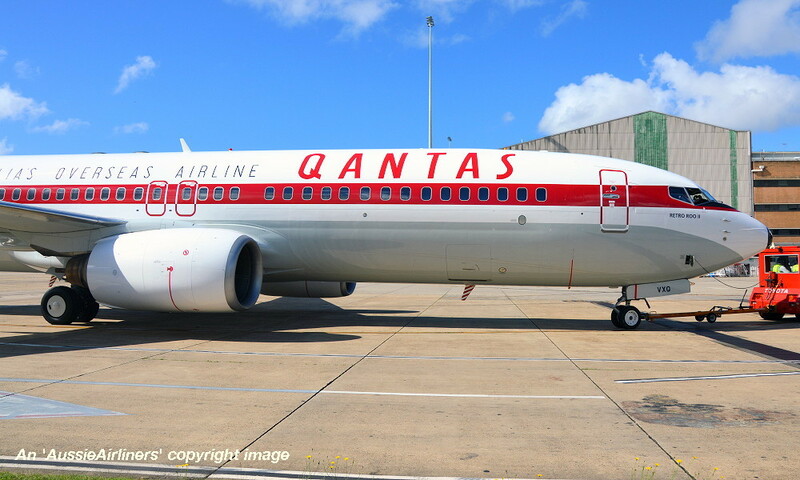 Qantas Australia's Overseas Airline - 'Retro Roo II' in the 1959 retro livery at Townsville Airport, November 14, 2015. 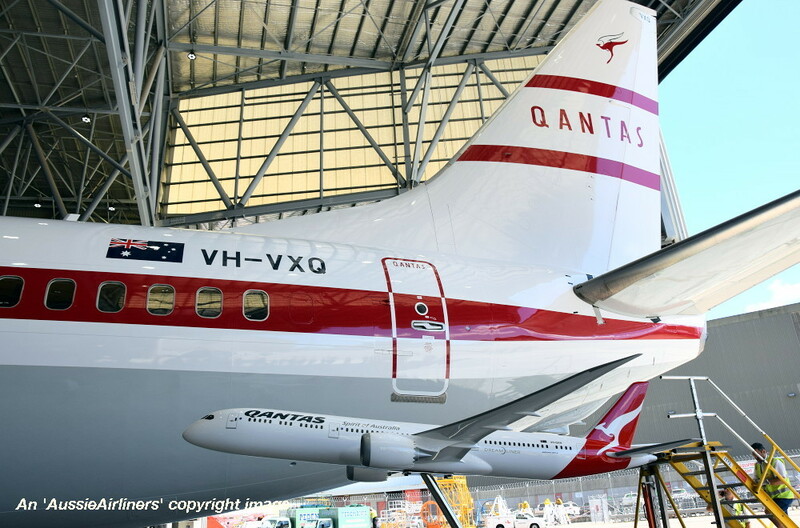 VH-VXQ. 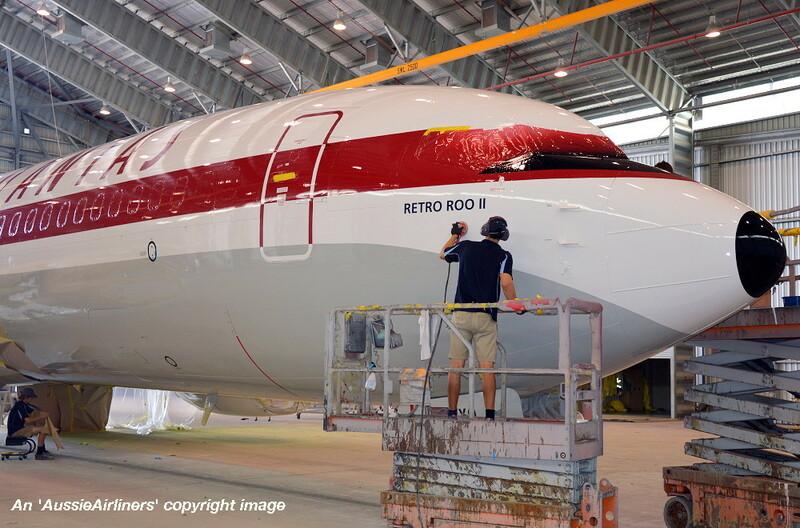 Qantas Australia's Overseas Airline - 'Retro Roo II' in the 1959 retro livery at Townsville Airport, November 2015. 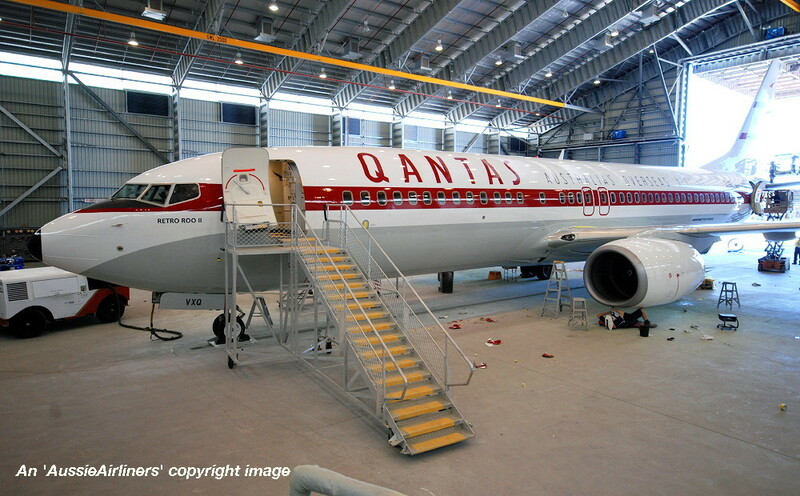 VH-VXQ. 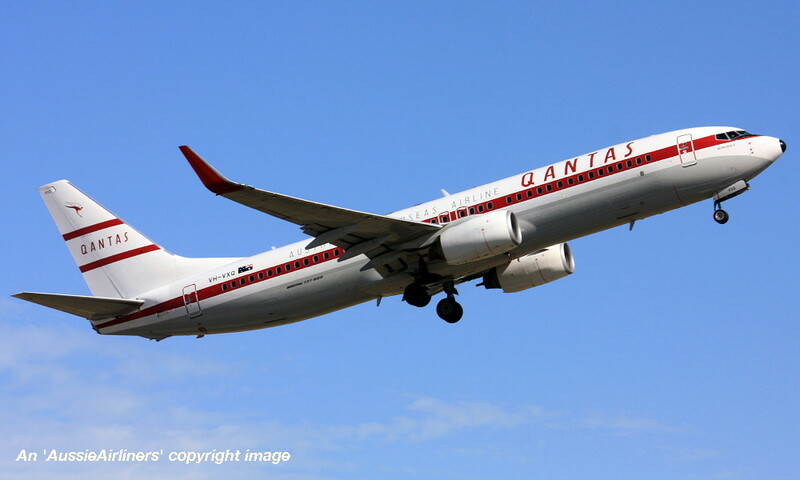 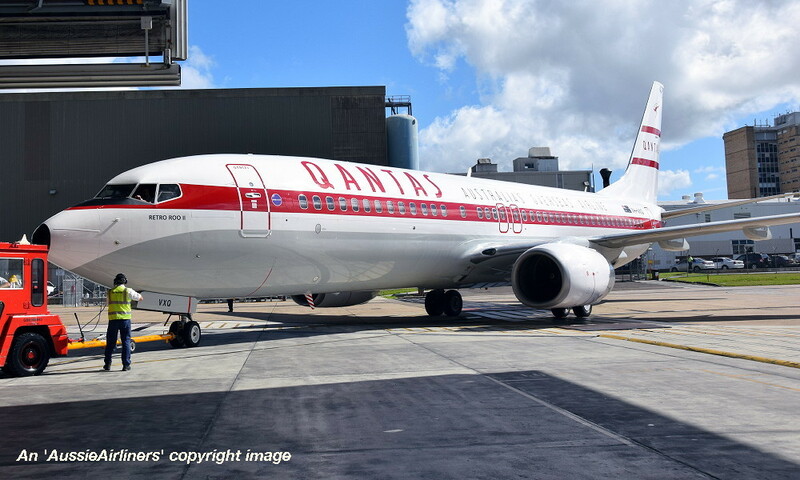 Qantas Australia's Overseas Airline - 'Retro Roo II' in the 1959 retro livery at Townsville Airport, November 15, 2015. 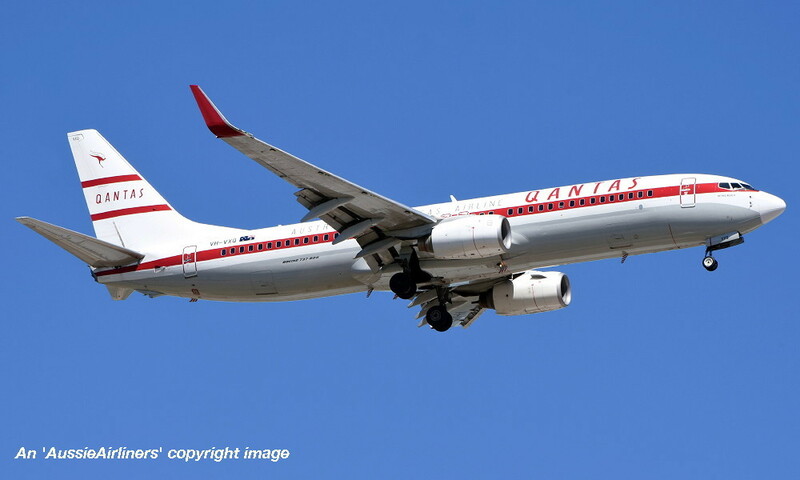 VH-VXQ. 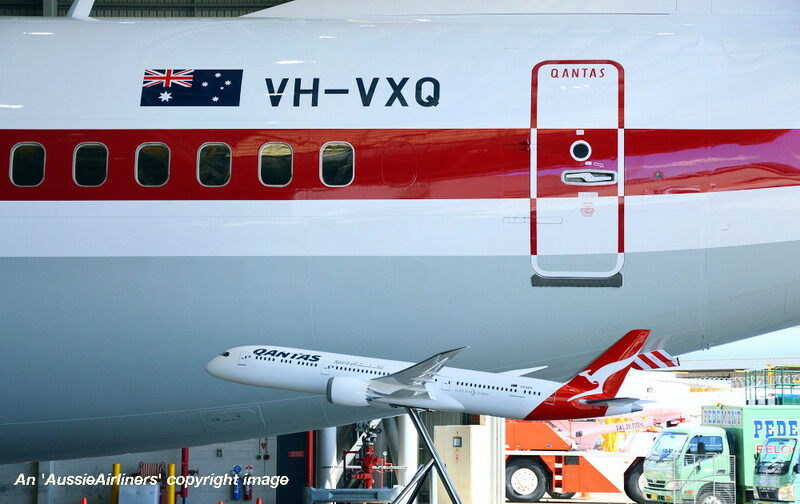 Qantas Australia's Overseas Airline - 'Retro Roo II' in the 1959 retro livery at Sydney Kingsford Smith Airport, November 16, 2015. 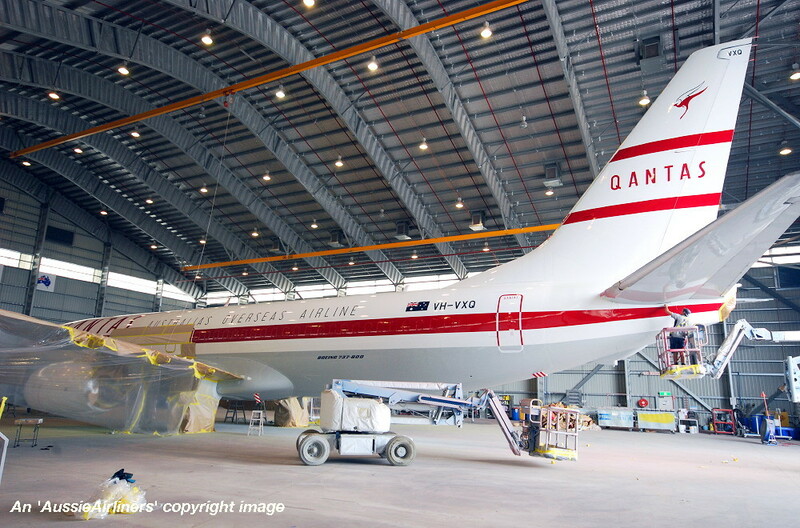 The aircraft is being towed over to Hangar 416 for the official media presentation. 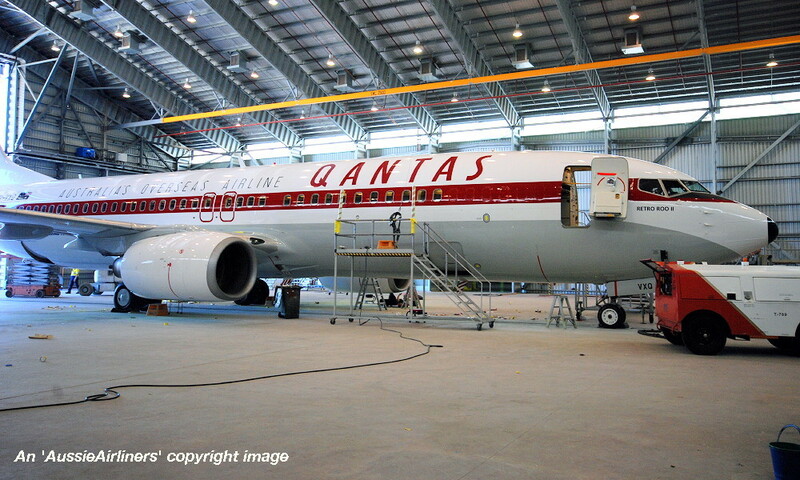 The aircraft is being towed into Hangar 416 for the media presentation and unveiling ceremony. 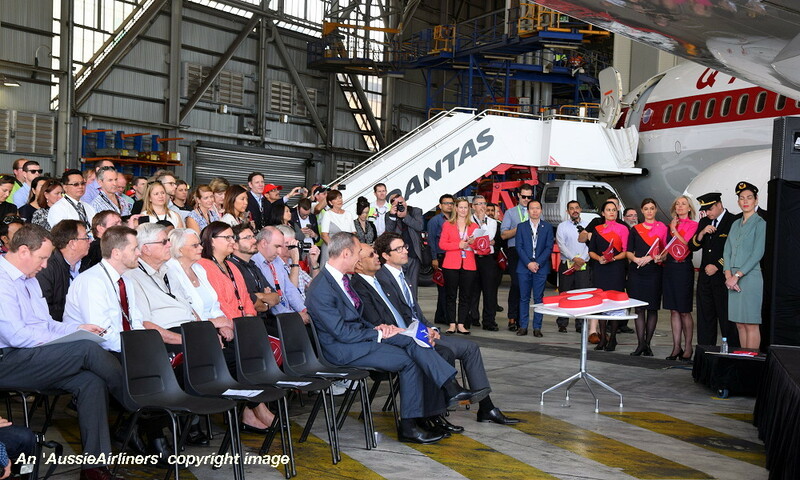 The media presentation and unveiling ceremony. 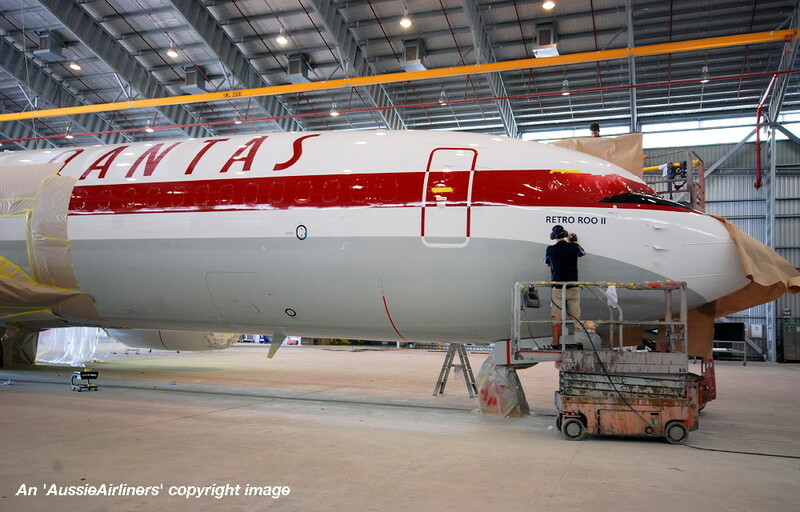 VH-VXQ. 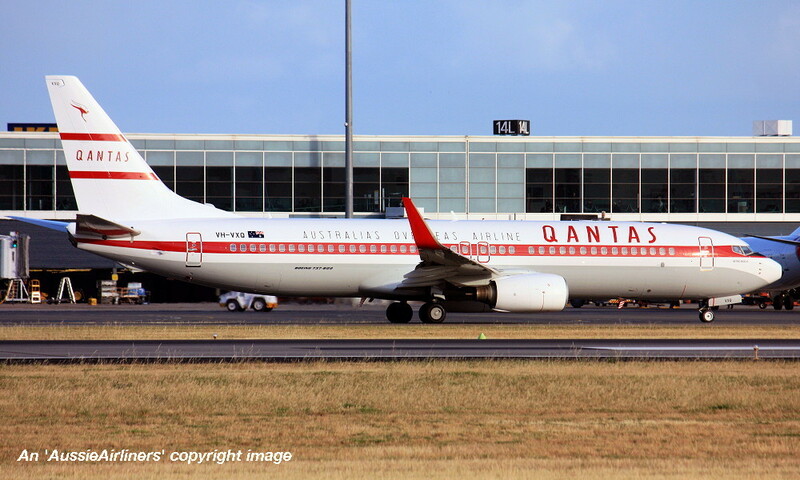 Qantas Australia's Overseas Airline - 'Retro Roo II' in the 1959 retro livery at Adelaide West Beach Airport, November 21, 2015. 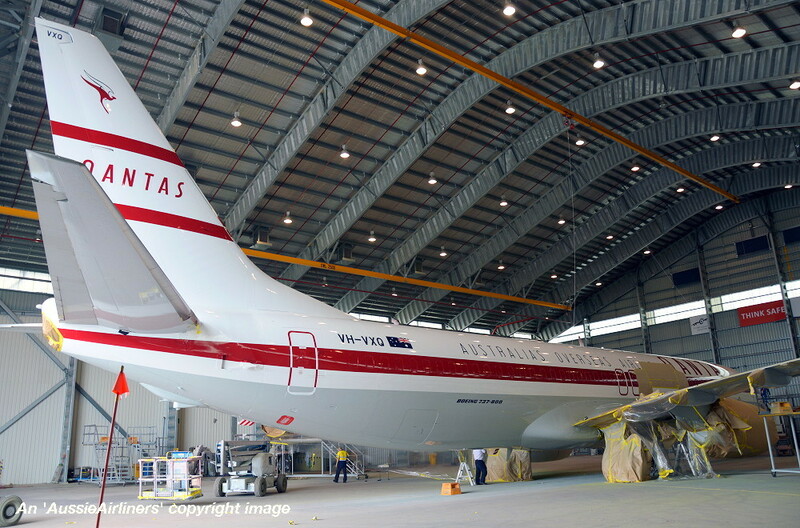 VH-VXQ. 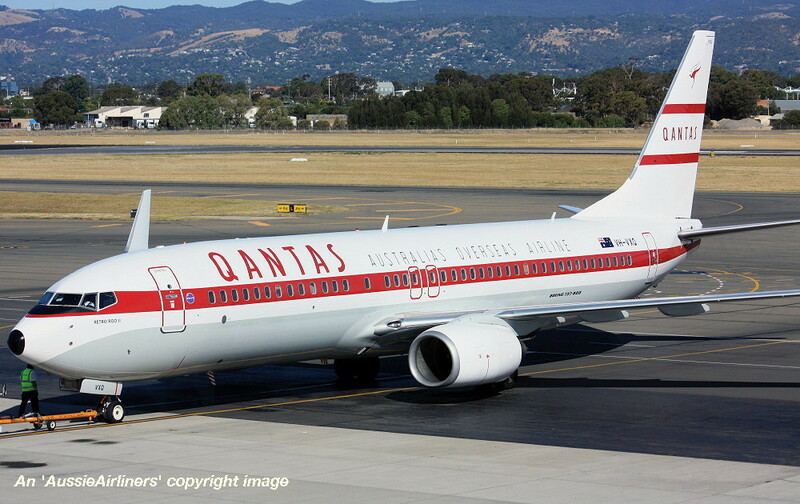 Qantas Australia's Overseas Airline - 'Retro Roo II' in the 1959 retro livery at Adelaide West Beach Airport, November 28, 2015. 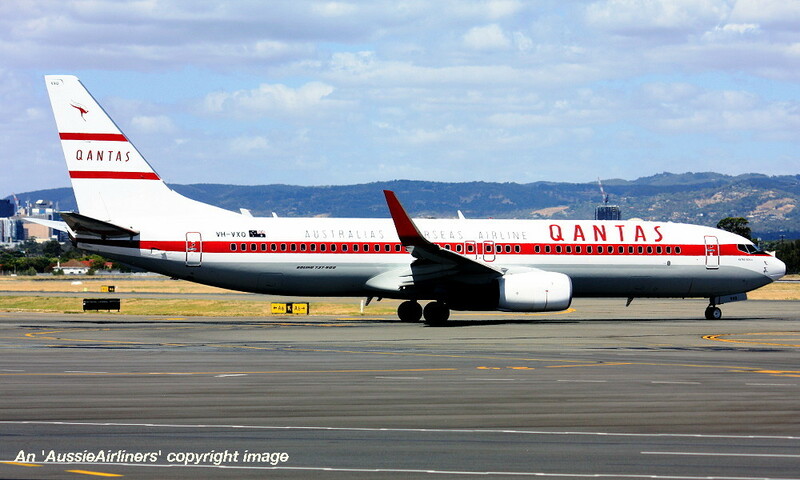 VH-VXQ. 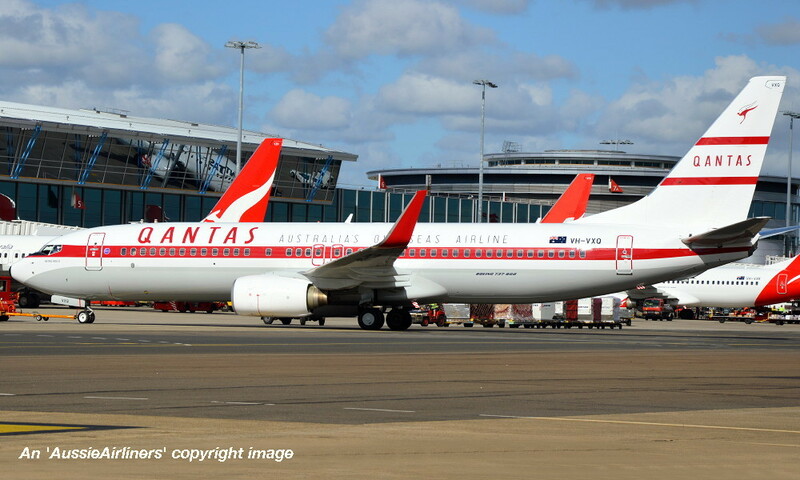 Qantas Australia's Overseas Airline - 'Retro Roo II' in the 1959 retro livery at Adelaide West Beach Airport, November 29, 2015. 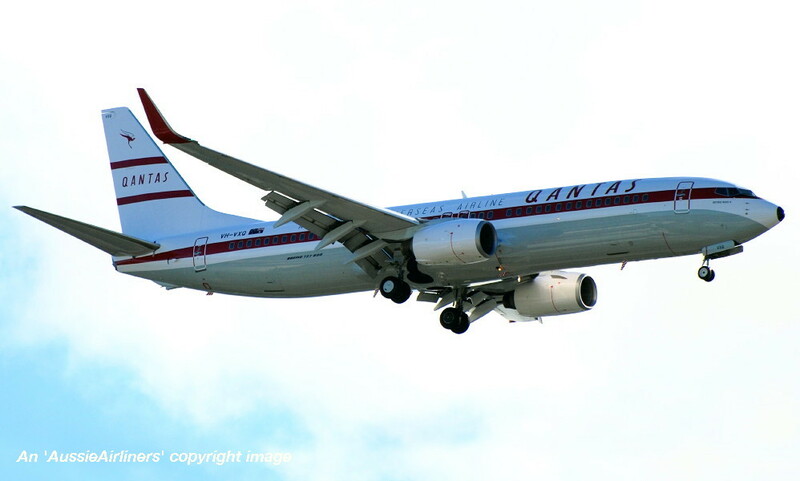 VH-VXQ. 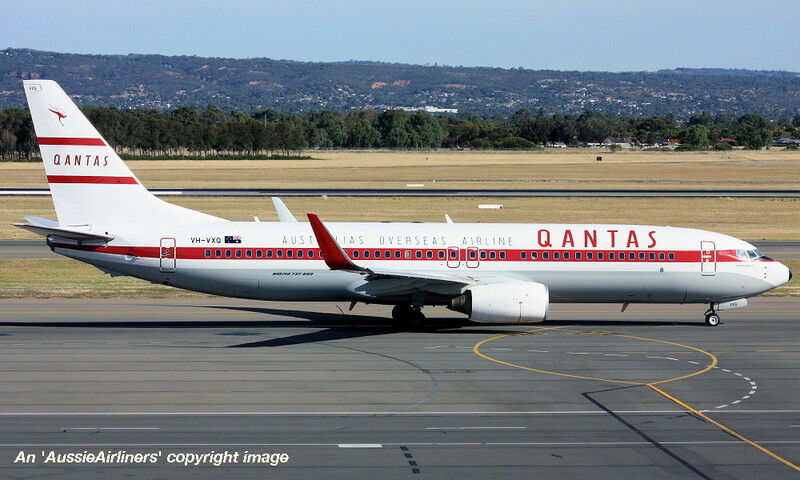 Qantas Australia's Overseas Airline - 'Retro Roo II' in the 1959 retro livery at Adelaide West Beach Airport, December 05, 2015. 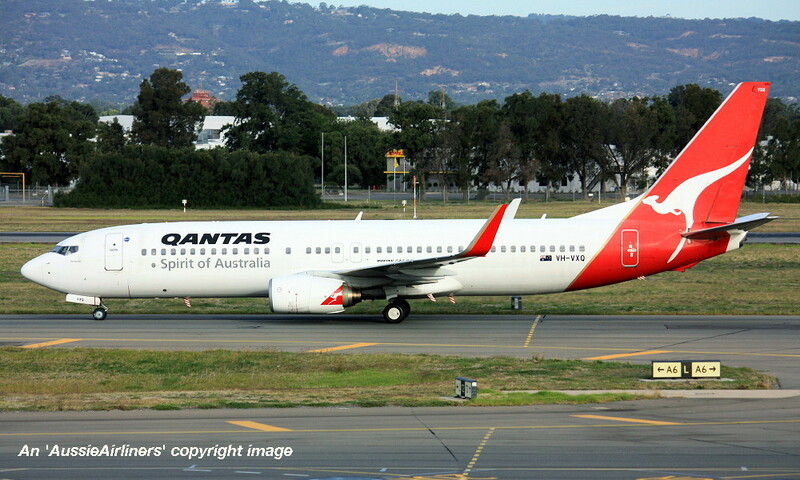 VH-VXQ. 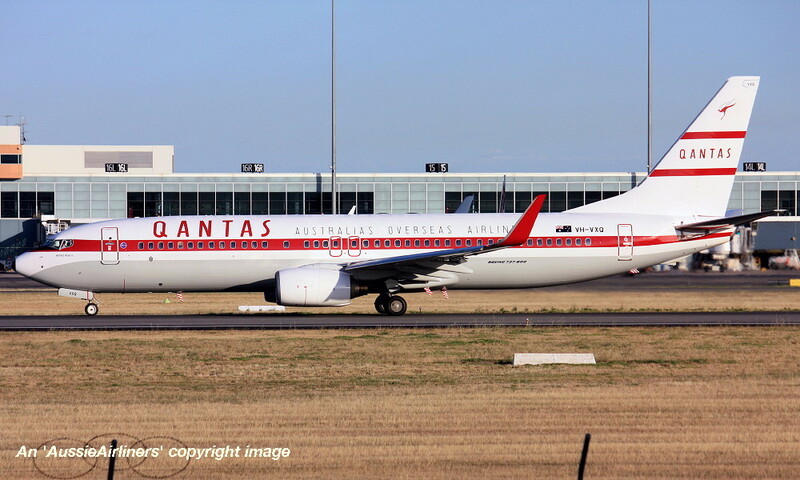 Qantas Australia's Overseas Airline - 'Retro Roo II' in the 1959 retro livery at Adelaide West Beach Airport, December 26, 2015. 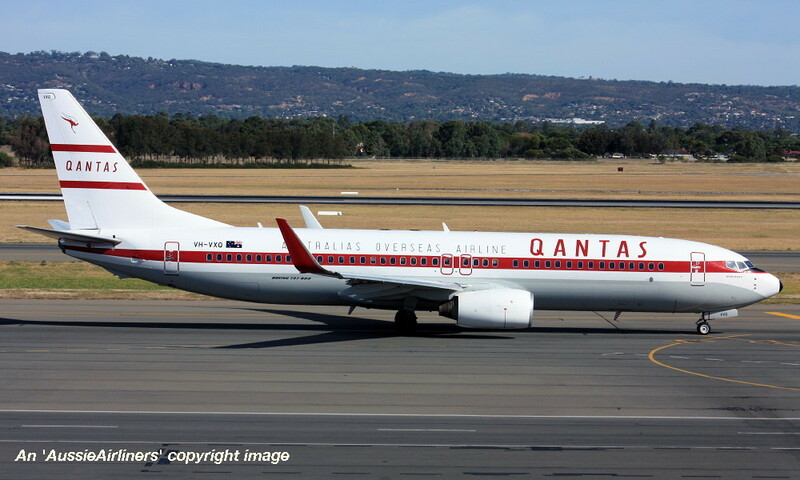 VH-VXQ. 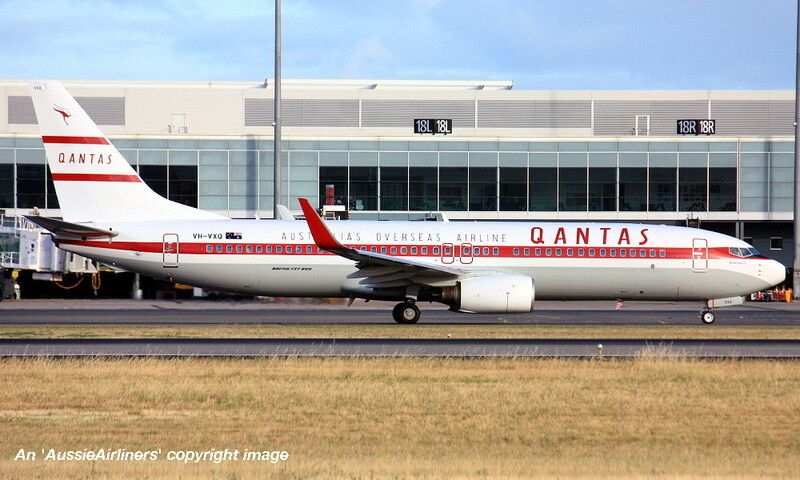 Qantas Australia's Overseas Airline - 'Retro Roo II' in the 1959 retro livery at Adelaide West Beach Airport, January 09, 2016. 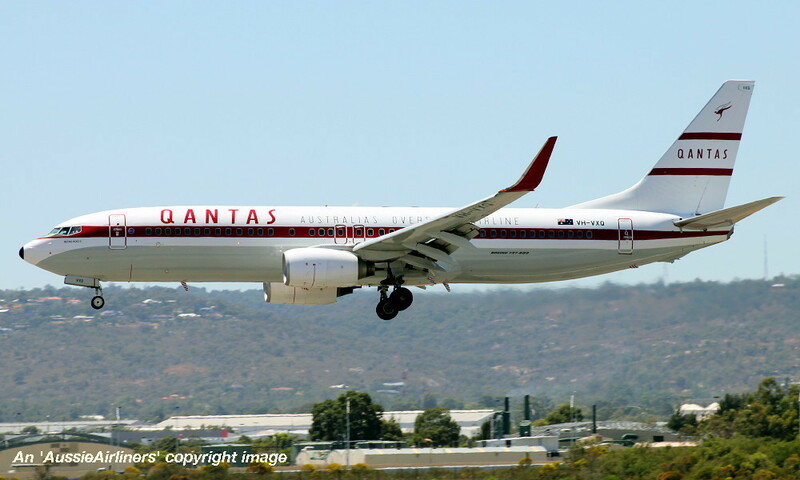 VH-VXQ. 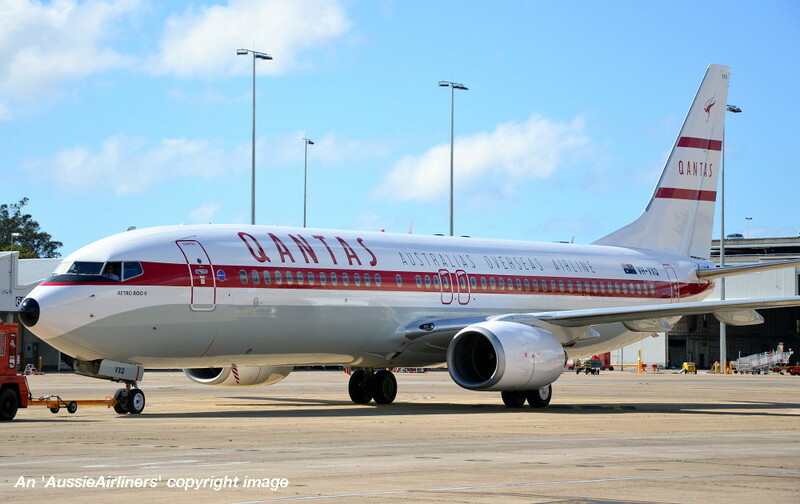 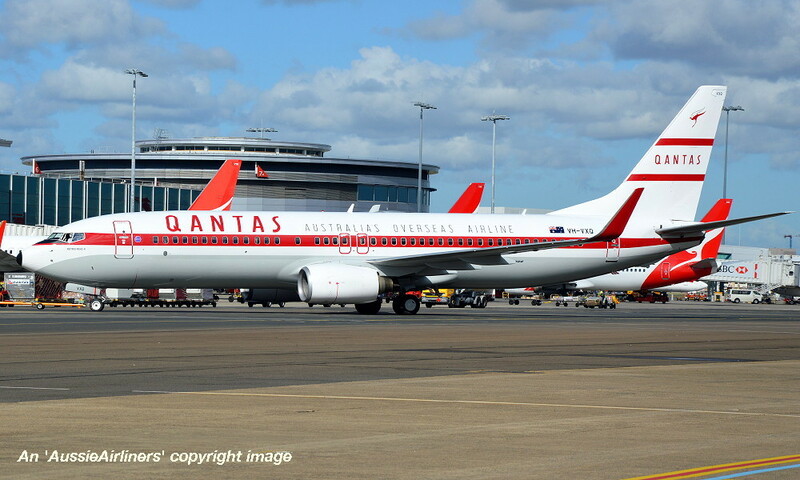 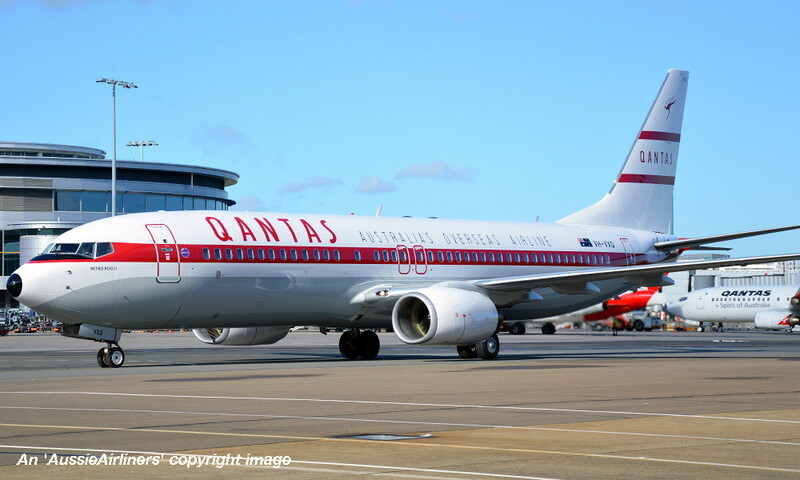 Qantas Australia's Overseas Airline - 'Retro Roo II' in the 1959 retro livery at Perth Airport, January 15, 2016. 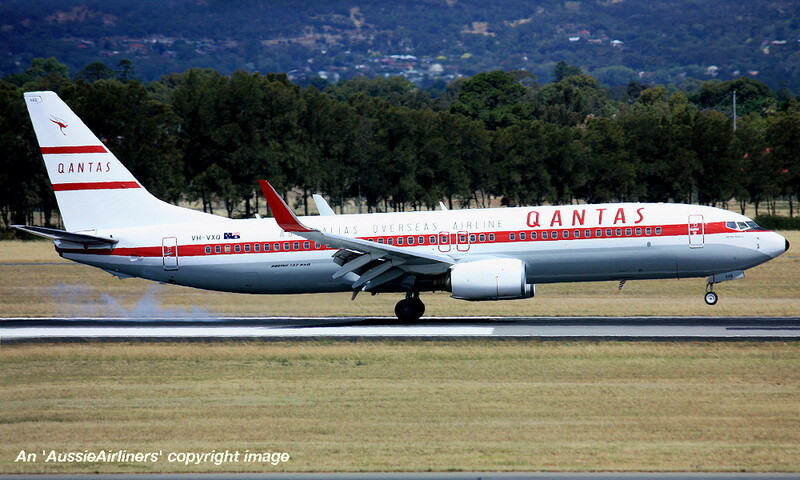 VH-VXQ. 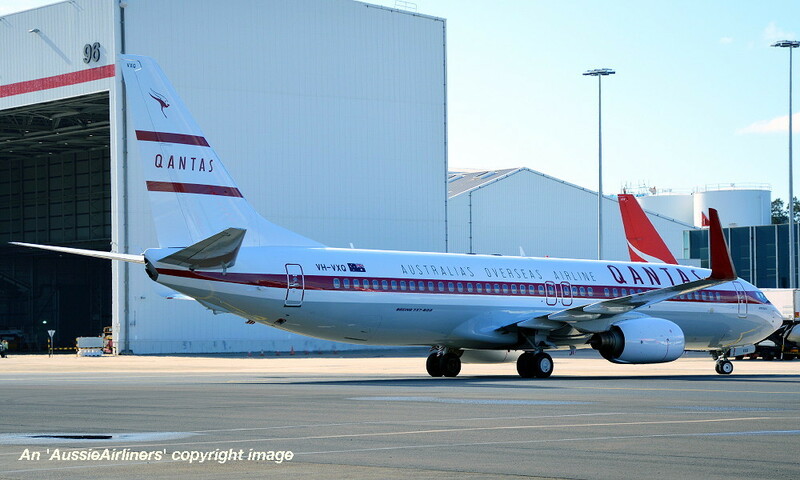 Qantas Australia's Overseas Airline - 'Retro Roo II' in the 1959 retro livery at Adelaide West Beach Airport, January 23, 2016. 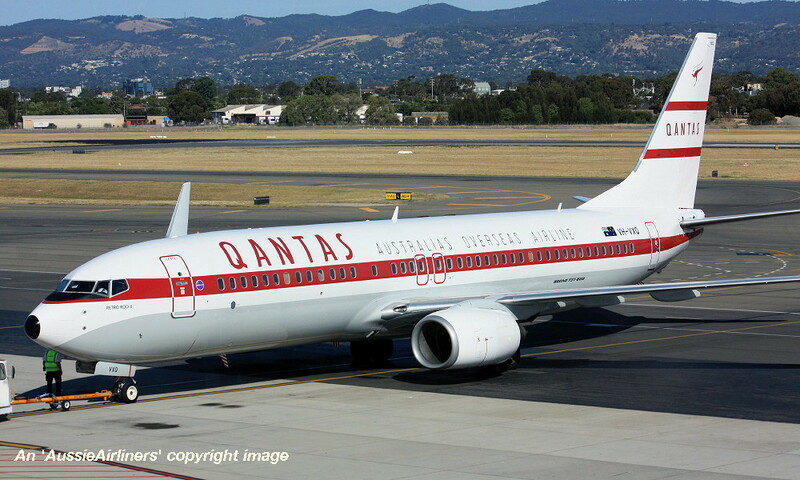 VH-VXQ. 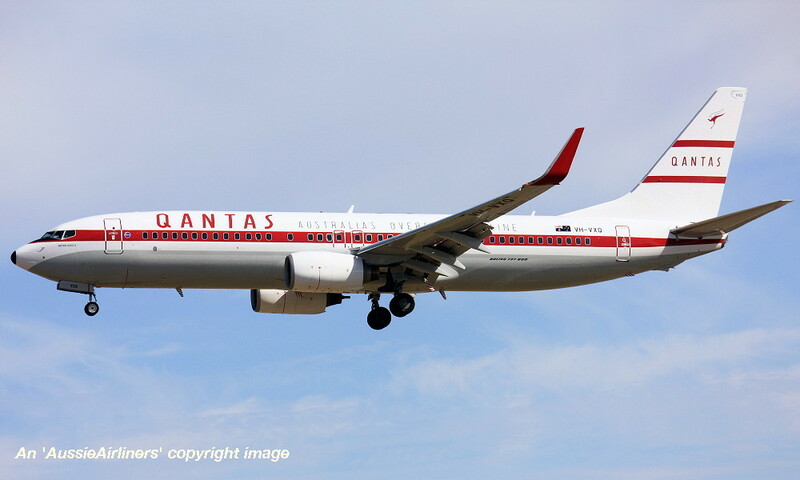 Qantas Australia's Overseas Airline - 'Retro Roo II' in the 1959 retro livery at Adelaide West Beach Airport, July 02, 2017. 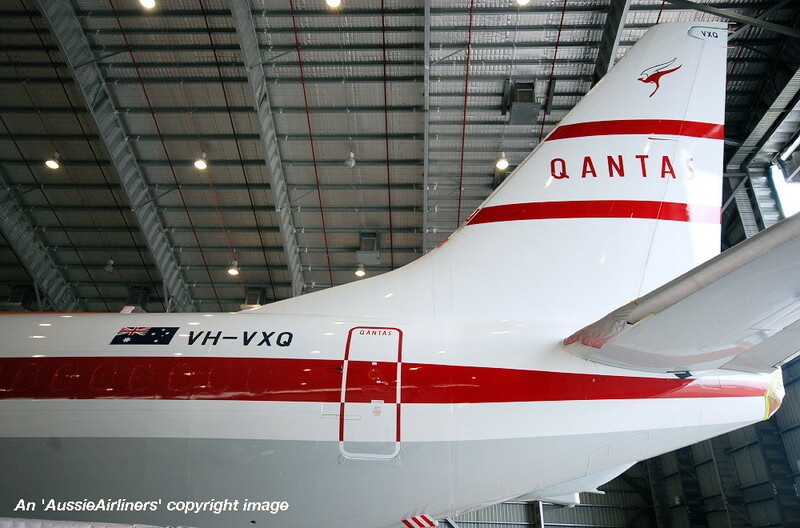 VH-VXQ. 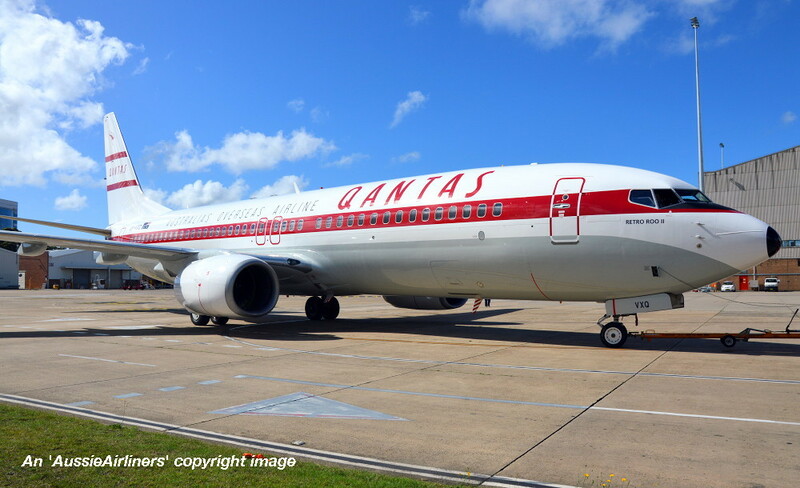 Qantas Australia's Overseas Airline - 'Retro Roo II' in the 1959 retro livery at Adelaide West Beach Airport, October 18, 2017. 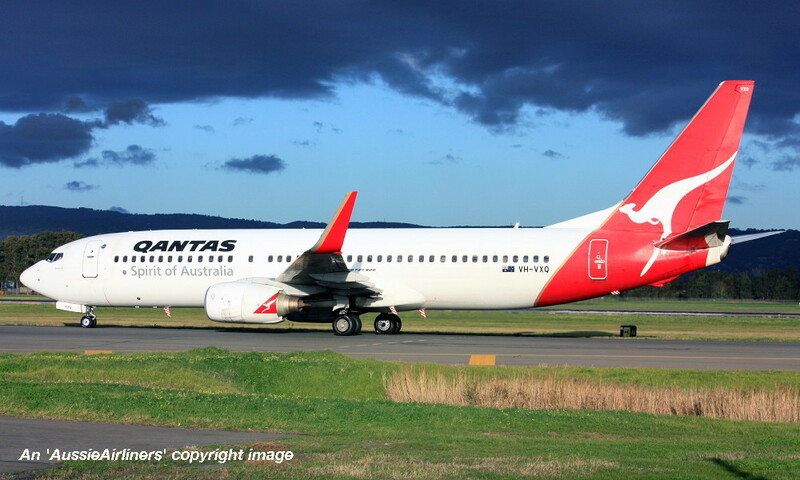 VH-VXQ. 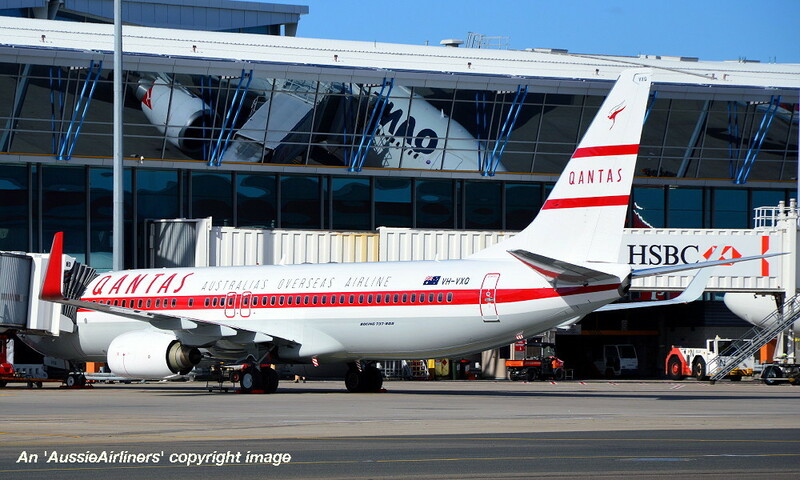 Qantas Australia's Overseas Airline - 'Retro Roo II' in the 1959 retro livery at Perth Airport, February 04, 2018. 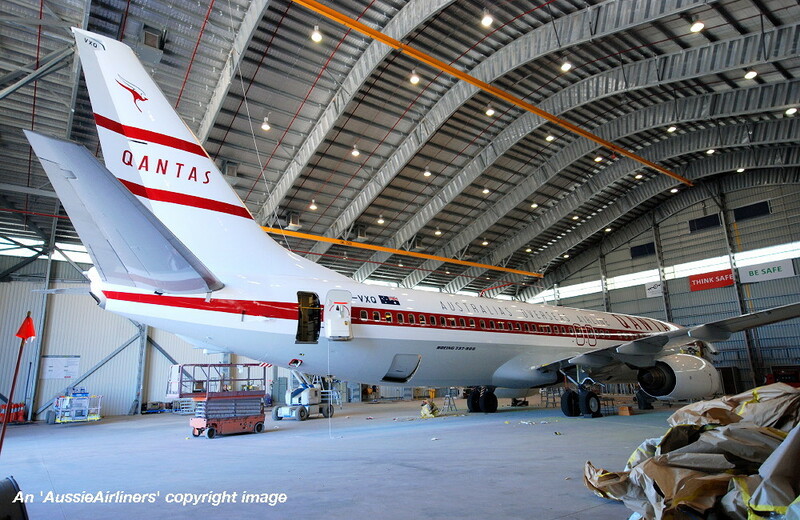 VH-VXQ. 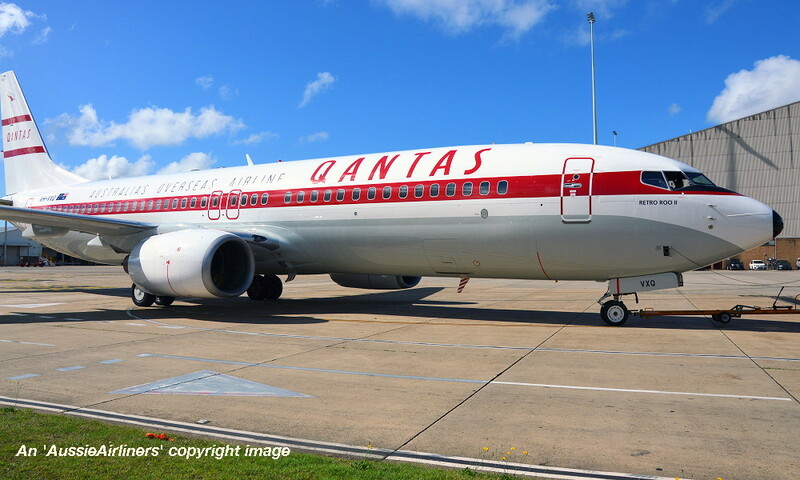 Qantas Australia's Overseas Airline - 'Retro Roo II' in the 1959 retro livery at Coolangatta Airport, February 2018. 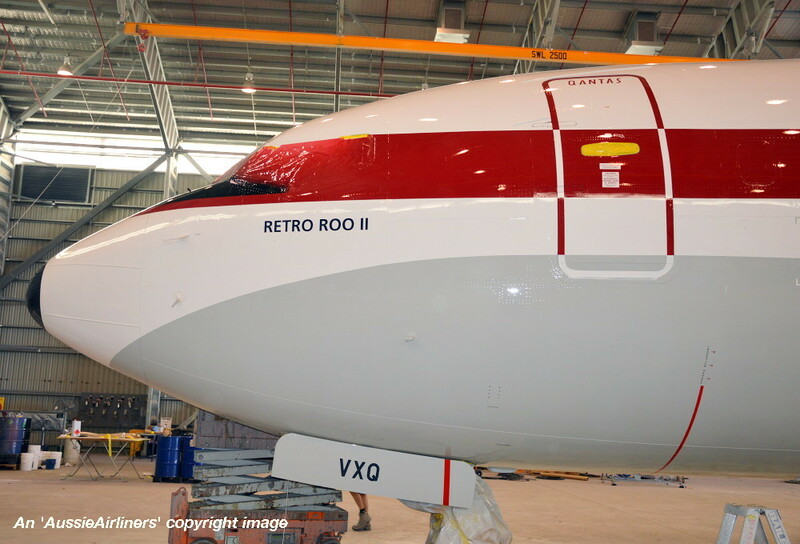 VH-VXQ. 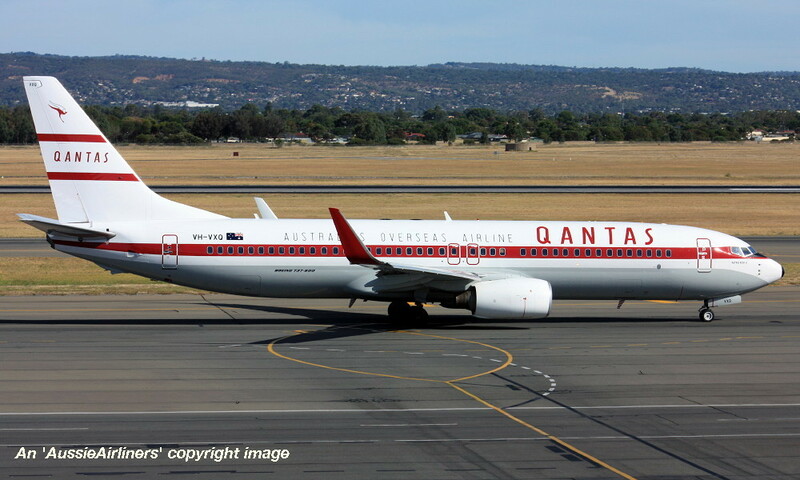 Qantas Australia's Overseas Airline - 'Retro Roo II' in the 1959 retro livery at Adelaide West Beach Airport, August 25, 2018.